I awoke at 6:30 a.m. on a Friday morning for the sake of an 8 a.m. meeting, a worthy cause which did little to ease my murky feeling of tiredness. This I-only-have-to-be-on-campus-by-11 body clock that I had going was not working in my favor. As per usual, I looked to my cellphone for a mindless stroll through Twitter to get my gears going. In the absence of such a ritual, I would be worse off than … lots of things. Give me a break, 6:30 in the morning is too early to think of a good metaphor. Surprisingly enough, I saw that I had two missed calls from my younger brother, a rarity given that high schoolers would rather catch the plague than be forced to talk on the phone. Though I had a sinking feeling as to what this might have been about, I called him back as if this situation fell within the realm of normalcy. “Oh, yeah … so, we’re evacuating right now. And I called to ask what you want saved from your room? The fire is pretty close to the house.” My heart dropped a little as the suspicions wriggling around in my mind came to fruition. The situation had escalated compared to the night before. Whereas the prior evening was full of anxious texts from my other brother at our mom’s reluctance to evacuate, this was the real deal. A groggy attempt to laundry-list my most treasured possessions was interspersed with fire updates in my brother’s static-laden voice; apparently, the blaze had progressed to the end of our street. Evacuation for the neighborhood of Bell Canyon was now mandatory. As much as I felt relief that my family and pets would be safe, a measure of melancholy washed over me, too. Could the place that I’d called home since the age of two really be incinerated within hours? The bedroom which housed countless memories, now ash? Regardless, I’d have no way of knowing for sure until about 36 hours later. I watched news about the Woolsey fire that Friday night with what felt like a stone wedged in my windpipe, praying that none of the houses I saw burning was my own. After a full day without any updates, I finally got a text from my mom saying that our house had been spared. Our part of the neighborhood was lucky enough to have avoided the brunt of it all, though others weren’t as lucky. A family friend who happens to be my hairdresser lost her home entirely, along with tens of other residents. When I saw a news photo of her signature red lawn chair (which I’d sat in myself, with hair full of bleach) fronting a pile of rubble, I had a sort of out-of-body experience. 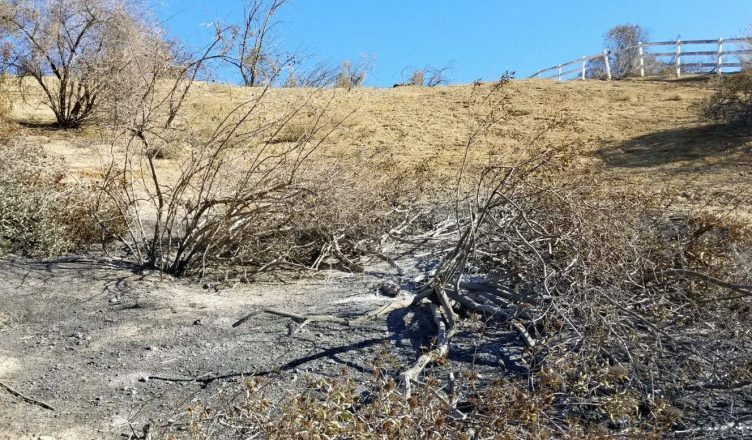 The fire risk in Southern California is very real, as many of us know well. But to be honest, the gravity of such a danger never hit me directly until now. I’d been forced to evacuate my home once before in elementary school, but that’s a memory more so tinged with curiosity than alarm. That whole event felt like a giant sleepover at my grandma’s house, which was all good in my book. Plus, nobody had lost their house back then, either. As horrendously cliche as it sounds, this fire made me realize how fragile modern existence is. We all want a place to go back to, craving stability above all in a world that is anything but. In that moment when my brother called me, I didn’t think to save anything of monetary value; I wanted to preserve what, in my mind, was irreplaceable. If the room itself was to depart from this world, then I would take the items which would best represent the memories from my time spent there. Art projects, books, Pokemon cards: I was grateful for it all. In the wake of this upcoming holiday season, I’m keeping in mind more than ever to treasure the basic things. I have a house to eat Thanksgiving dinner in, and some people do not. While I experienced a couple days’ anxiety, some people will have to endure months of rebuilding. Reality can be cold in that way. It shouldn’t have taken a near-catastrophic event to smack some gratefulness into me, but it did nonetheless. Hopefully, other people won’t be forced to do the same. For anyone in the spirit of giving, organizations such as Red Cross, GoFundMe, and the International Association of Firefighters all have fundraisers for various relief efforts.